Is a beautiful sweet natured girl of about 2 years. 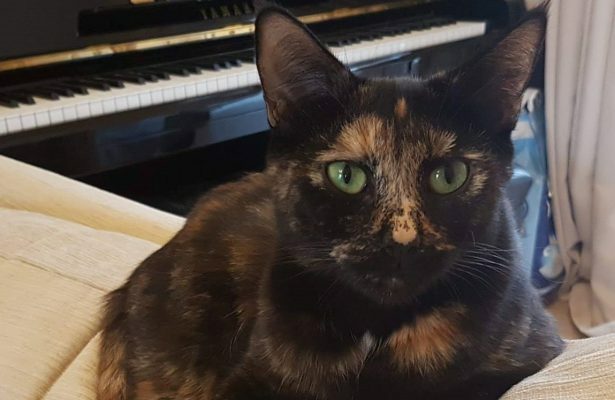 She’s quite shy initially and likes to be given time to come to you for a cuddle, but is getting more confident and affectionate all the time. Shreddie came to us heavily pregnant, so has taken a while to wean her kittens who are all now off to their new homes, and she’s ready to look for her own people. 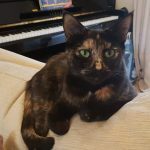 Shreddie would be most happy with a quiet home, she’s tolerant of other cats, but would prefer older children, as she’s worried about being pulled around or too much loud noise.